Here’s a thing that rests comfortably between “Hey, this could be pretty awesome” and “Hey, this is none of our business”: Discovery Channel will be airing a live broadcast from the bottom of one of the largest submerged sinkholes in the world. Explorers will be diving into the infamous Blue Hole, located about 46 miles off the coast of Belize. Though it’s largely known for its stunningly clear water and array of sea life, the cavern has never been properly mapped and what lurks deep beneath the surface is a mystery—that is, until the camera crew arrives. 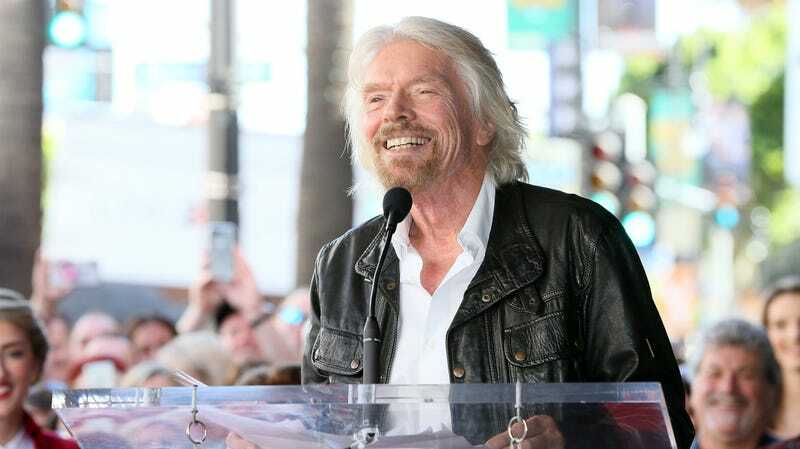 Discovery has put together a top-notch exploration team that will include Fabien Cousteau, grandson of legendary naval explorer Jacques Cousteau, and business mogul/all-around “why even do this” expert, Sir Richard Branson. This will only be the second documented attempt at exploring the Blue Hole’s depths—the first was in 1971, led by none other than Fabien’s grandfather. Those of us old enough to remember Geraldo Rivera’s historic live “exploration” of Al Capone’s gloriously empty vault know all too well that these real-time deep dives (pun only mildly intended) are a risk. While we could rightfully expect to catch a glimpse of some of the water-logged horrors we were never, ever meant to see, don’t be surprised if some of us tune in with a glimmer of hope that the cameras catch a whole lot of nothing. You know, because we never let anything go. Discovery Live: Into the Blue Hole will be a two-hour special airing on Sunday, December 2 at 2 p.m. ET and will be hosted by marine biologist Luke Tipple and presenter Chris Jacobs.